MATH-Inic Philippines supports our Juana Racers! MATH-Inic Philippines will be awarding 100% scholarships* to all the winners in this year’s Juana Race? All-Women Bike Challenge. Winners from each category may choose from these online courses available at the MATH-Inic Online School. Math Builder Online – Start your child’s MATH-Inic journey and strengthen their Math foundations with this course. Recommended for children from Grades 1 to 3. Math Booster Online – Boost your child’s Math skills in this course. Recommended for children from Grades 3 to 6. Vedic Maths Introductory Course – Learn about Vedic Math and its history, background, and applications in this introductory course. Recommended for high school/college students, parents and teachers. All participants are also entitled to a 20% discount* on these courses. Sign up below to receive the coupon codes. *Scholarships and discounts are transferable. 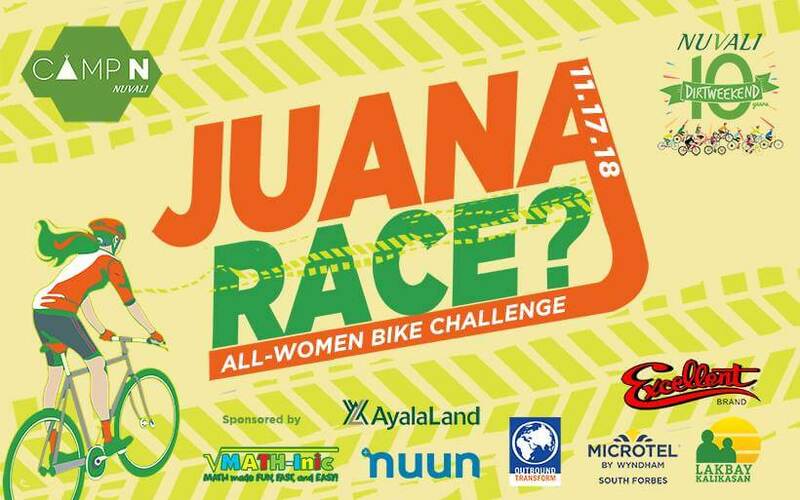 DID YOU JOIN THE JUANA RACE? Sign up here to get your discount coupons from MATH-Inic. We will also email you blog updates, shortcuts from our books, MATH-Inic news, promos and more. 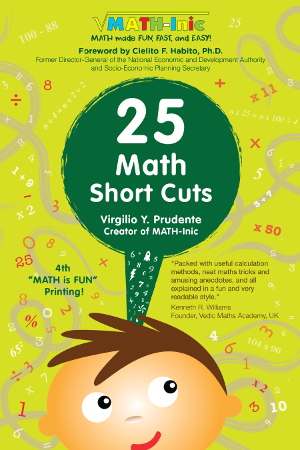 We'll also send you the eBook preview of the bestselling book 25 Math Short Cuts: Practical Algebra "Tricks" for Everyday Use by Virgilio "Ike" Y. Prudente as a welcome gift.